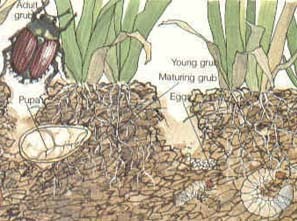 If your lawn is already infested with grubs, keep in mind that they are insulated by a layer of grass leaves, thatch, and soil. We apply this control by spreding a granular treatment as needed. Applications need to reach below the soil surface to be effective. This is achieved by repeated heavy watering after application.